Welcome back to another tutorial on functions. Last time, we looked inside memory to see what functions looked like in the flesh and all that Assembly was pretty nasty. At least you have some exposure to it. This time, we will be examining how functions work with the stack. 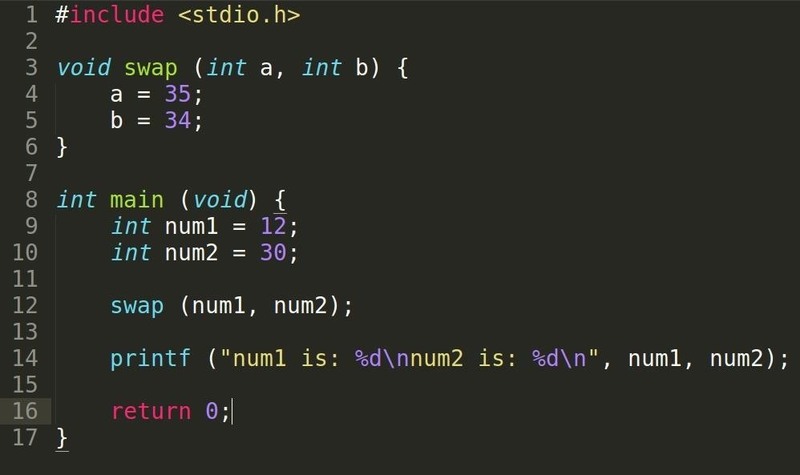 Let's bring back the code we used in the previous tutorial. So I've explained a few times about the return. We know that it passes control back to the caller of the function and we also know it can give back a value but we're still unsure about how it knows where it needs to return. Let's compile it and debug to see how it all works. First of all, we require breakpoints to pause the program so that we can see what is happening at those times. We break at line 15 before we call the function and at line 7 inside the function. We will then compare the differences in the stack to see if anything changed. From the previous tutorial, we saw that two values were moved onto the stack during the function analysis of main and as we can see, they're both there. Let's continue into the add function and print the stack again. Matching the addresses, we can see our variables num1 and num2 again. But what's this in the red? It looks strangely familiar... Oh, I know where that came from! Let's bring the assembler dump image of main from last tutorial. Back in Tutorial 0x0D, I had explained about functions and their arguments. When a function is called, the caller passes its own variables and/or values into the callee by copying them and placing them on top of the stack so that the callee now has its own variables which is named whatever you named them in the parenthesis of the function definition. In this case, num1 and num2 were copied, pushed (to place on top of the stack) and stored as variables a and b in add. Right there, in the blue! So we weren't hallucinating, it's really there! Before the return address is pushed, we require the parameters of the callee function (a and b), so as I have already stated a couple of times, the caller pushes its values onto the stack so it has a copy of its own. Notice how I've been bolding the word copy every time I've typed in for the past few tutorials. It is a copy, not the actual original value. If you change the variables in the callee function, it will not change the values in the caller unless you explicitly return and save the value. What's also interesting is in what order the values are pushed. If you take a look, our first parameter is num1 and our second is num2 but on the stack, it's the other way around! The reason for this is so functions (like printf) with something called variable arguments can be supported*. Let's try experimenting. This time, we have given the swap function a void return value, which means it does not return anything. If this is the case, no return call is required. num1 and num2 are passed into the swap function again, just like the add function in the previous code only now, we have set the two values to different numbers. Obviously, since I have already explained this, we know that the values will not change. We've almost finished on functions, there are probably going to be two more tutorials on this topic but I will give it a rest now because there are other things we need to know before getting there. Remember to revise the content, try to fully understand what is happening and maybe we can bring up another exploitation method with the buffer overflow vulnerability. Thanks for reading! How To: Attack on Stack [Part 2]; Smash the Stack Visualization: Ebp, Esp, RET and Stack Frames. How To: Attack on Stack [Part 3]; Smash the Stack Visualization: Building on Fundaments, Analyzation Trilogy Conclusion. How To: Attack on Stack [Part 5]; Smash the Stack Visualization: Remote Code Execution and Shellcode Concept. How To: Attack on Stack [Part 4]; Smash the Stack Visualization: Prologue to Exploitation Chronicles, GDB on the Battlefield. 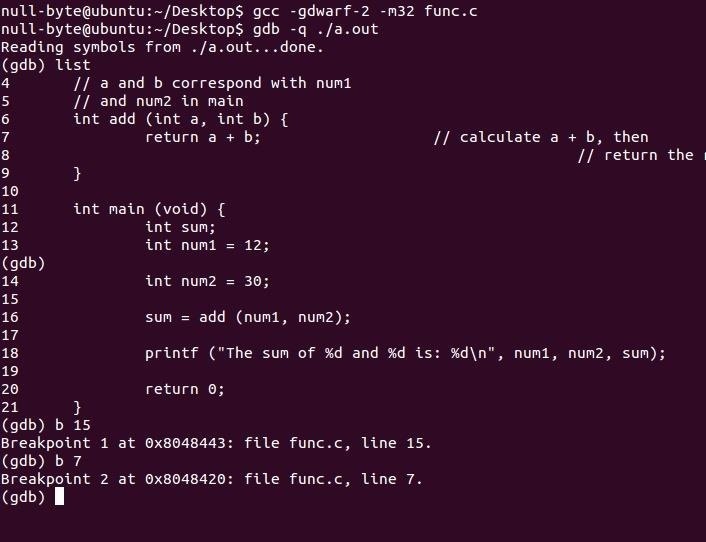 How To: Security-Oriented C Tutorial 0x0C - Buffer Overflows Exposed! News: Why Are Some People Smarter Than Others? but why is it "int main()" and not "void main()"? what happens if I put void instead of int? 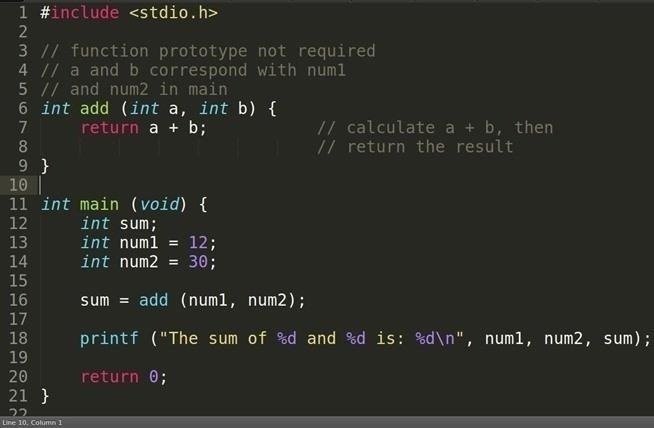 When you define main in C it is standard to have it return an int. The program is expected to give a return value back to the operating system (or whatever ran your program) so that it knows how the program was terminated whether it was successful or some error occurred. As for Java, I'm not sure of why main is declared as having a void return type. For more information, please refer to this Stack Overflow question.